It really does seem like most mornings despite how much prep I do the night before, we still struggle to get out the door on time. While I grew up eating a warm breakfast most mornings, due to Nia's lack of interest and my lack of sleep I rarely get that opportunity, but when I do my favorite go-to breakfast for the family is a pot of oatmeal and boiled eggs. With 10 regular flavors and 6 gluten-free flavors, Bobo's Oat Bars really did come through for me. I was delighted to see the whimsical packaging and had a hard time deciding which flavor to try first. After one bite I knew my breakfast dilemma was solved: they are very hearty, exactly how I like my traditional oatmeal. At 3 oz, each bar is 2 servings and 180 calories. It's easy to wrap up and save for later, but they also make Bobo Bites which are great at only 1.5oz, especially for kids. 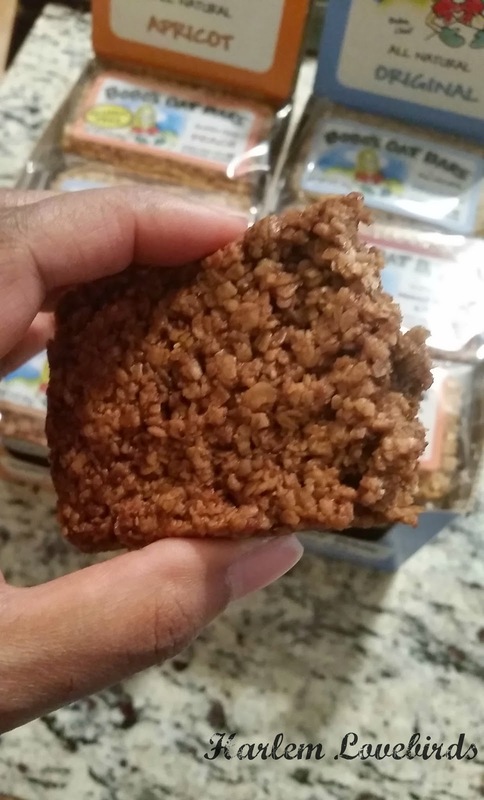 With many healthy foods, there's often the concern that taste is compromised and I admit I thought Bobo's Oat Bars might be dry, but surprisingly they weren't at all. I tried some of Nia's peach bar she selected and found the dried fruit to be a welcome addition. The peach flavor along with the cranberry orange are my favorites so far, and lately after 4a.m. wake-ups when I'm dragging on my way to school drop off, pairing a cup of coffee with a Bobo's Oat Bar that I keep stashed in the diaper bag is just enough to revive me on the drive from school to the Y so I can complete my workout. 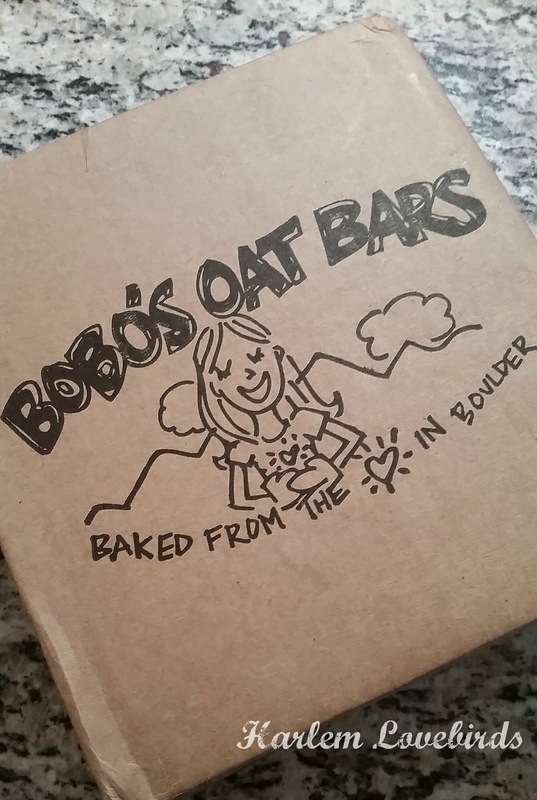 Oh and about the snow storm issue: Bobo's Oat Bars make a fantastic, healthy, shelf-stable addition to your pantry. I checked the expiration date on the batch of bars I received and was pleased to see they are fresh through July 2015. There are no funky ingredients either to make them that way - I can recognize and pronounced everything on the label. I set them right up on a kid-accessible shelf in the pantry and we're good to go! 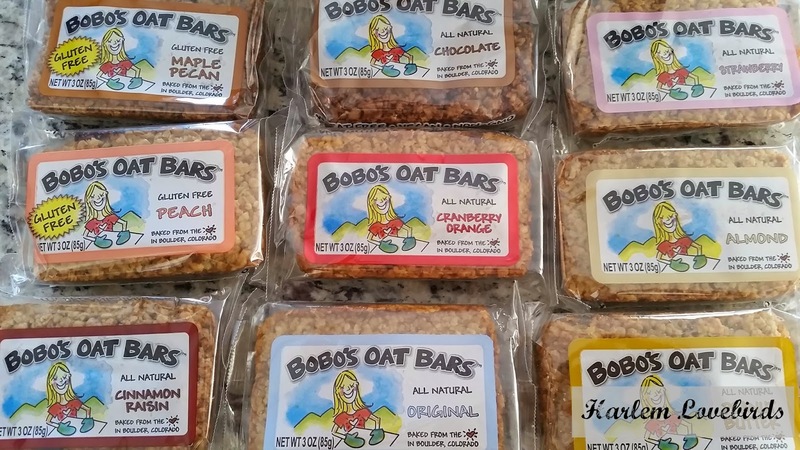 You can buy Bobo's Oat Bars here directly on their website as well as use their store locator to find a retailer near you. 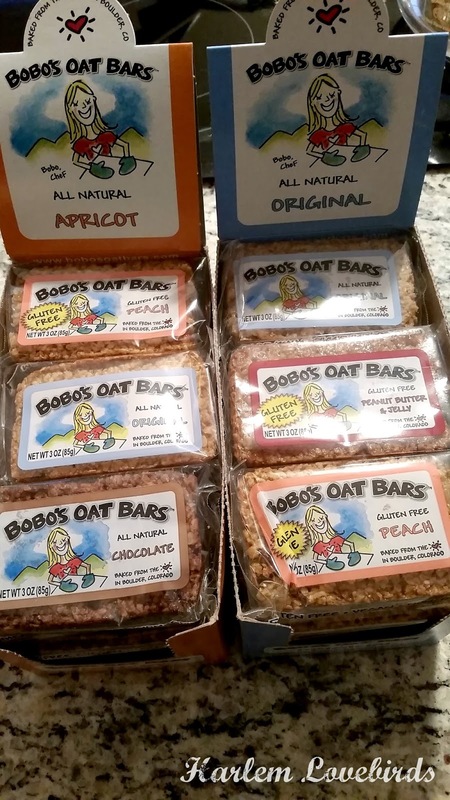 For more information about Bobo's Oat Bars, including fun contests like this one ending on 2/10/15, be sure to follow on Facebook, Twitter and Instagram. Are you an oatmeal fan like I am? Which Bobo's Oat Bars flavor would you want to try?